Shown above is the local version of the new Evangelion movie DVD. It comes in one disc and is available at all major video stores at the price of S$22.90. Don’t be fooled by the cover. 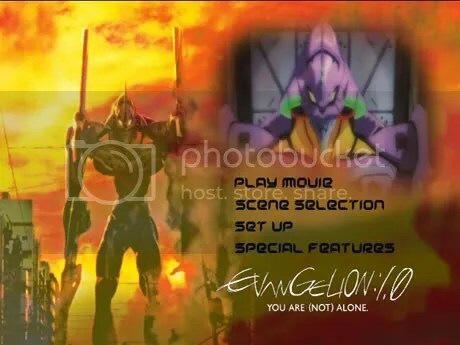 The cover reads Evangelion 1.0 but it’s actually the 1.01 edition with several minor fine tunings in picture, editing, and sound quality. Screenshot as proof above. There’s close to zero extras other than some trailers and a few pictures in the photo gallery. Crap. The one scene that justified everything. Yes everything. 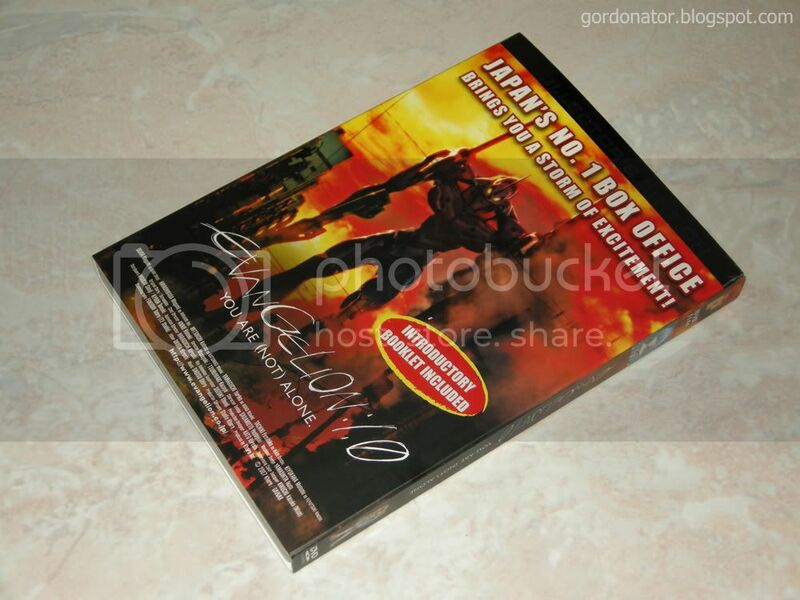 The “introductory booklet included” as seen on the DVD cover is a lie! 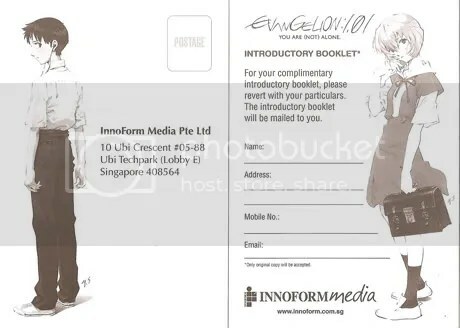 Instead an entry form is inside. 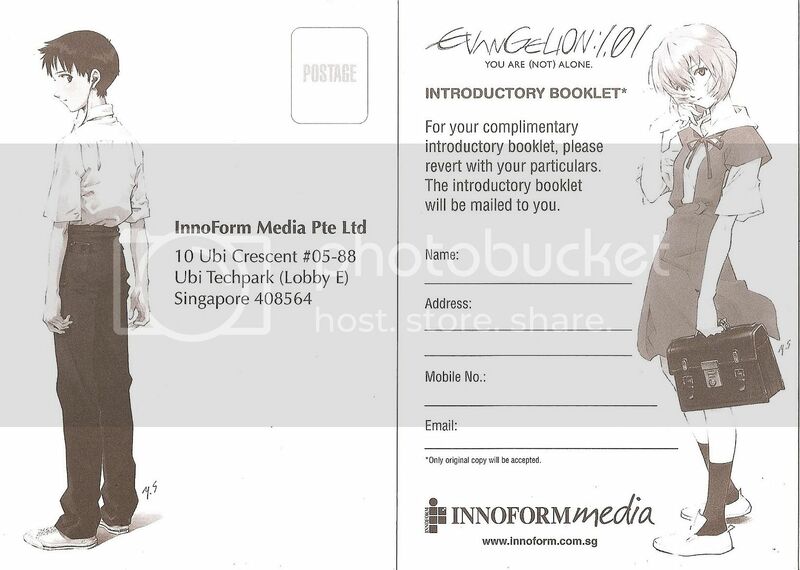 One need to fill up one’s particulars and send it back to the DVD distributor to get the booklet mailed to you. This kinda makes me wonder why can’t they just include the booklet together with the DVD? Is it because the booklets haven’t arrived yet? Or actually they are going to keep your particulars for marketing uses or worst sell it away? It’s a conspiracy I tell you. What!! Thats a rip-off.. I’m pretty disappointed in Singapore companies distributing such videos here..
That is a failed attempt at making a dvd menu.. Even an amateur can make a decent one..
Holy Christ, I just bought this today. Argh, I wonder if overseas stores still stock the Japanese limited edition, that came with a FRICKIN’ FILMSTRIP AT THE VERY LEAST. At least now I have something to look forward to, at least. Thanks Gordon. not sure if it is available in US yet. And it is stupid that they don’t include the booklet. very poor marketing; won’t it cost more and time consuming for the distributor? By the way, is it a remake of the original story? actually for $22.90, it’s a reasonable price despite the lack of extras and bugs. and yes the one scene is well worth everything. i believe the limited editions are already all snatched up. 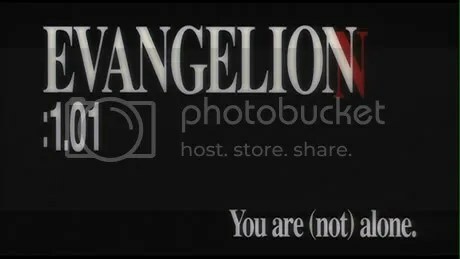 yes evangelion 1.0 to 3.0 is remake/re-imagine/retelling of the original anime series. 4.0 will be a totally new ending. sure of course. assuming that the booklet don’t take months to reach me. sure why not? already added you. do drop by often. no news of a blu-ray version yet sadly. keep your fingers crossed. Just watched it few weeks back, nice though..esp the scene whre 01 goes berserk one. nice screen shot ^^. i haven’t watched it. is it as complicated as the anime? looks cheapo but will consider a buy..
easier to understand and better than the anime in many ways. better quality, lesser shinji emo-ing, new scenes, new redesigned angels and weapons. i heard from setsuna-san it’s showing in malaysia soon right? Wow…we have a local release already ? Speedy ! welcome. did u managed to get yours in tokyo? heard the limited editions went off the shelves like hot cakes. I believe that due to its Dual Disk nature, the thing jumps after the 6th scene. I was quite surprised when that happened to. 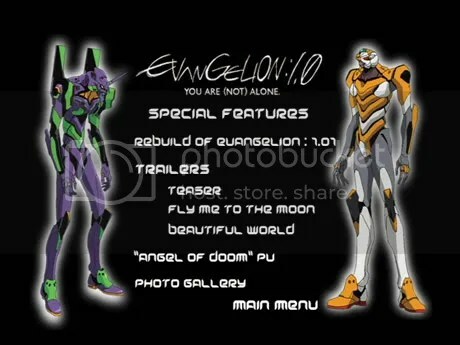 I want my trailer for Eva 2.0! @xicx: Well, I got mine from Laserfair (or something like that.) Or give TS Videos a try. i bought it at the cathy. hmm… could it be they recalled back all the faulty DVDs that’s why u can’t find it at stores? why not call them up for a exchange?